H in center field, XXI in exergue. receiving globe from Jupiter to right, holding scepter. Minted at officina H in Antioch (Antakya, Turkey) in 282 A.D. during his rule as Caesar under his father Carus. 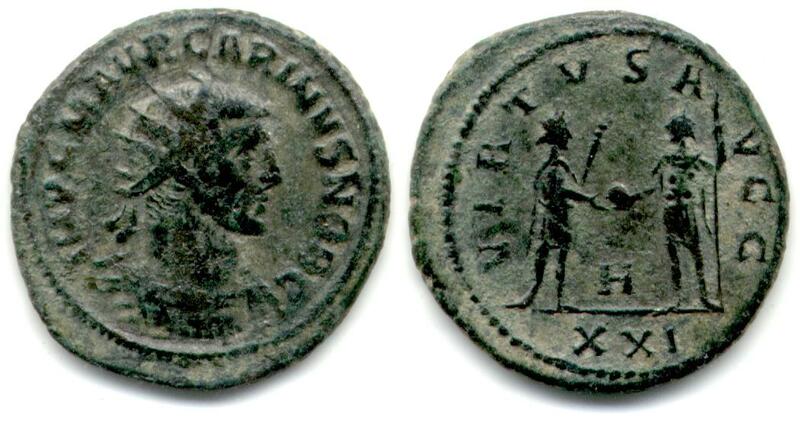 Van Meter, D., "Handbook of Roman Imperial Coins", p265, nr 23., varation with globe instead of victory on globe.